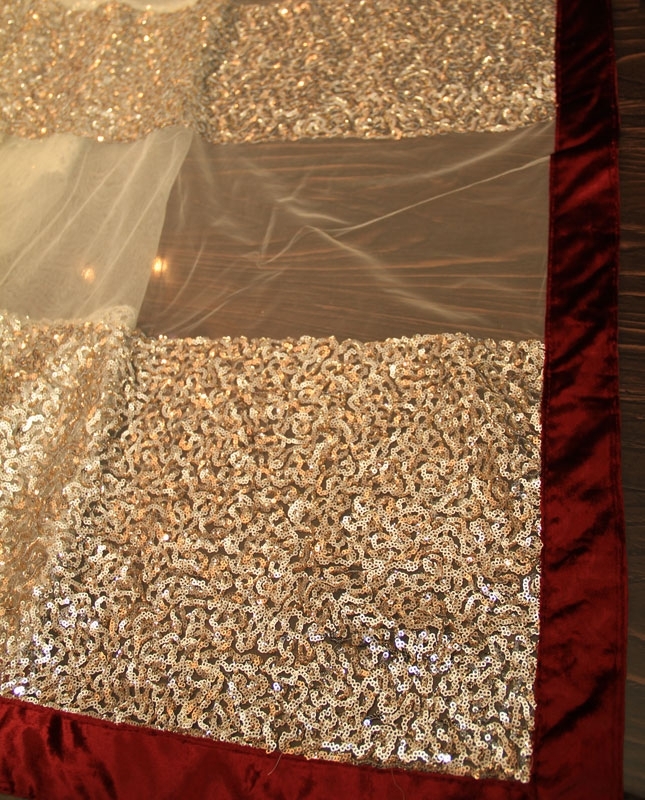 Priyanka Chopra elegant super star saree. 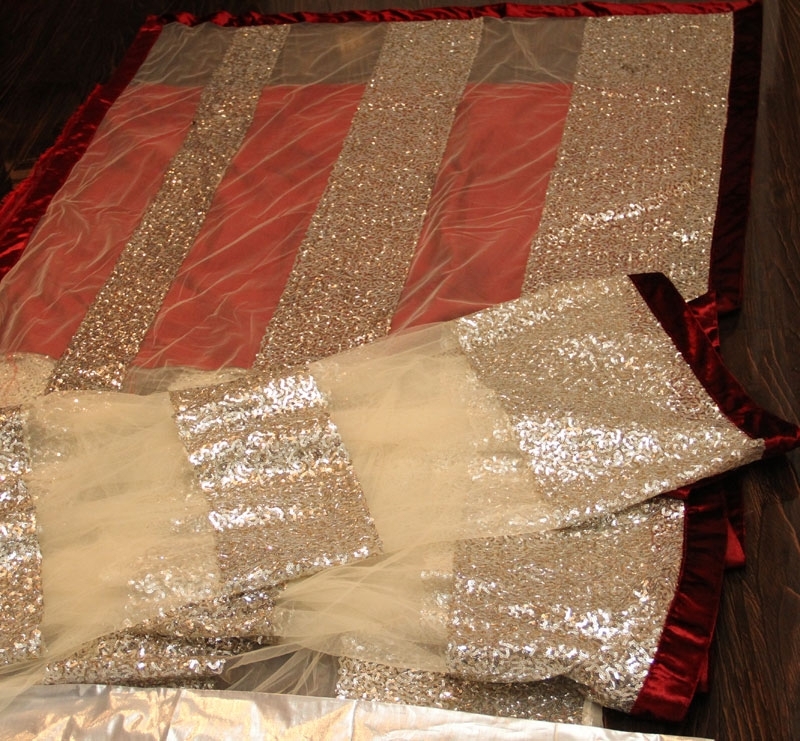 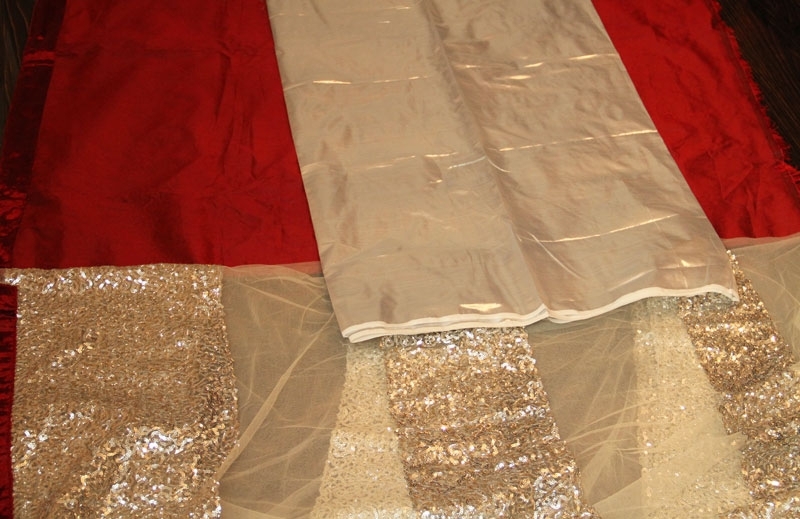 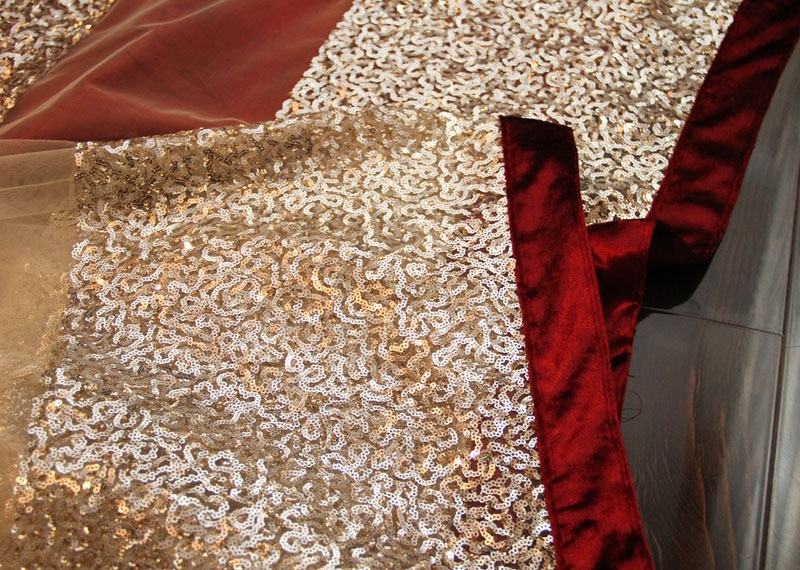 The borders of this saree is in velvet maroon, the saree is made with white net with wide horizontal Sparkling Silver embriodery designs. 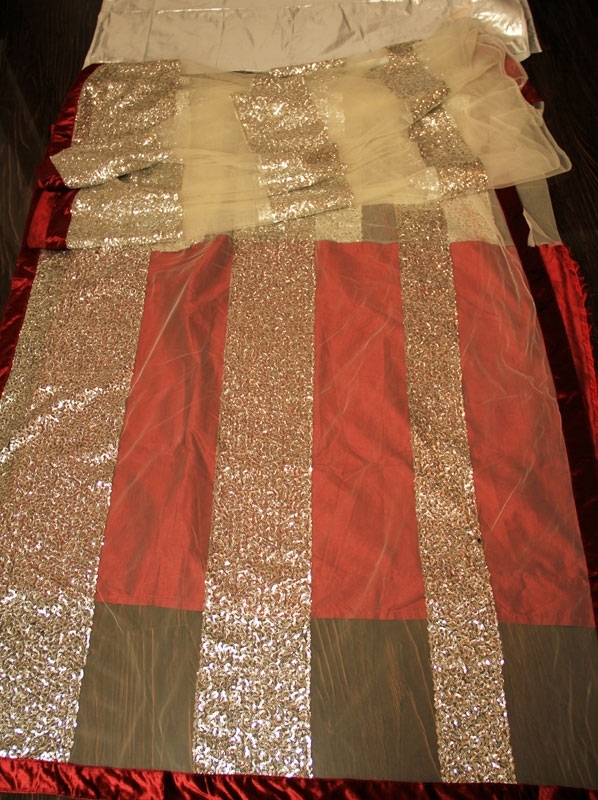 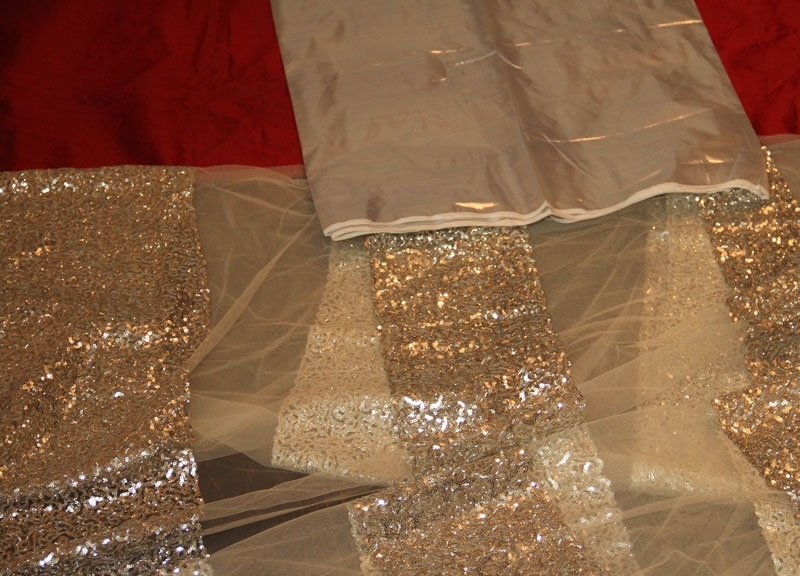 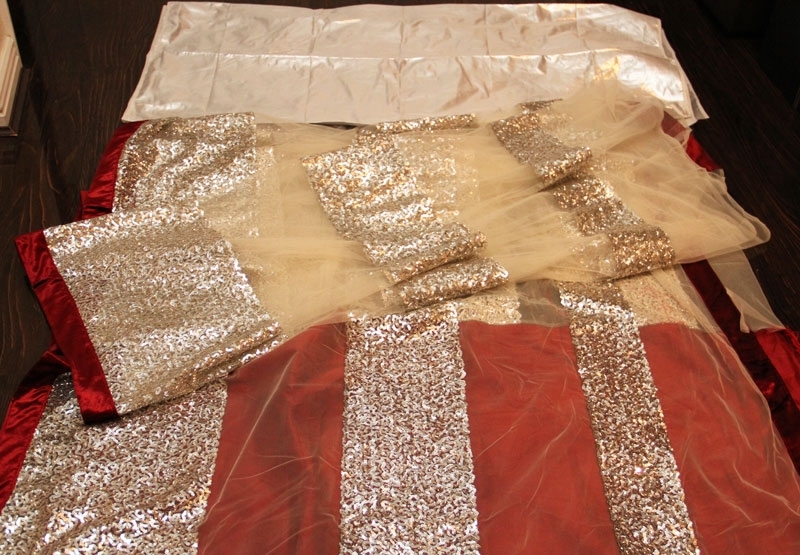 This saree comes with two complimentary unstitched blouse pieces. 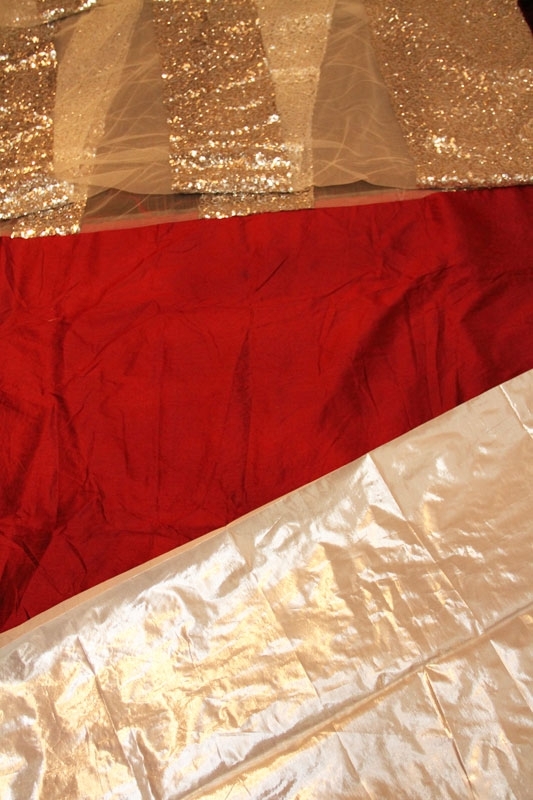 One in Maroon Colour and the other in white silk. 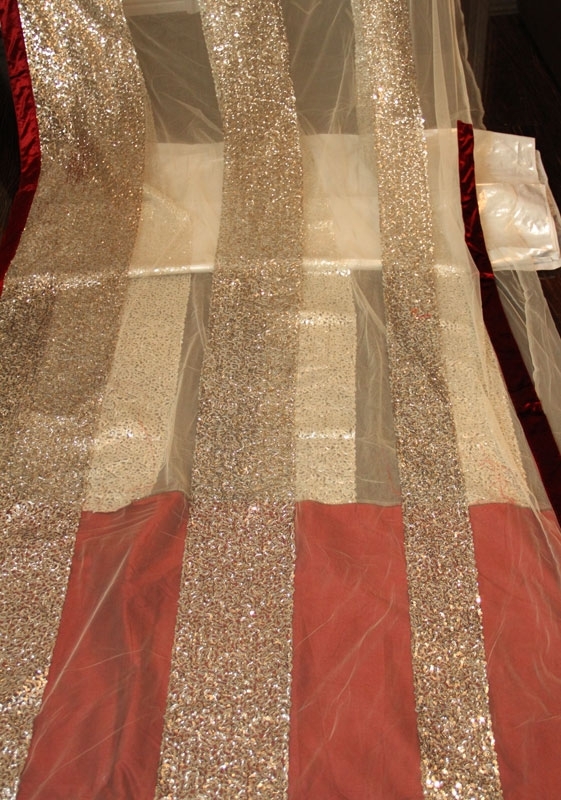 This saree is looks elegant on anyone.